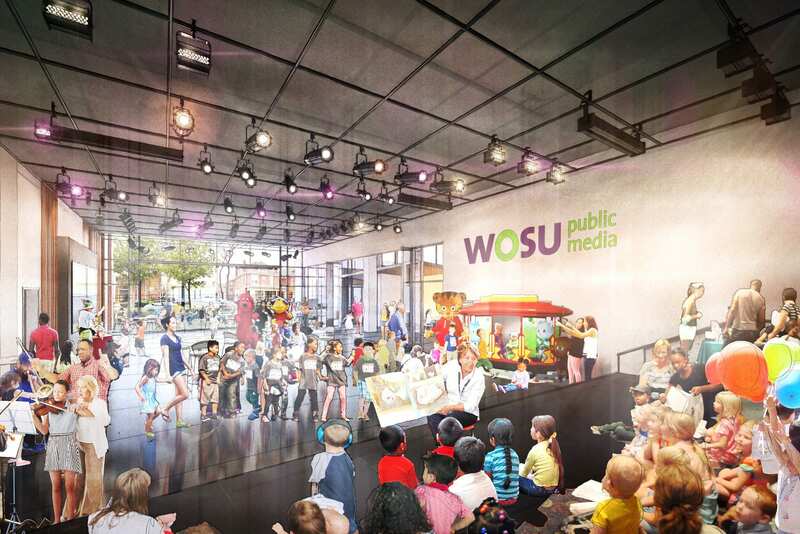 WOSU Public Media announced a $12 million campaign to support a brand new, state-of-the-art headquarters. With the new facility, WOSU hopes to “expand and enhance” it’s programming. For nearly 100 years, WOSU has encouraged citizens to engage in programming, enjoy musical performances, and learn through educational experiences. 50 of those years have been spent, tucked away in the Fawcett Center basement on The Ohio State University’s campus. But that’s all about to change in a big way. The new digs will be located at 14th Avenue and Pearl Alley, as part of the 15+High Project. 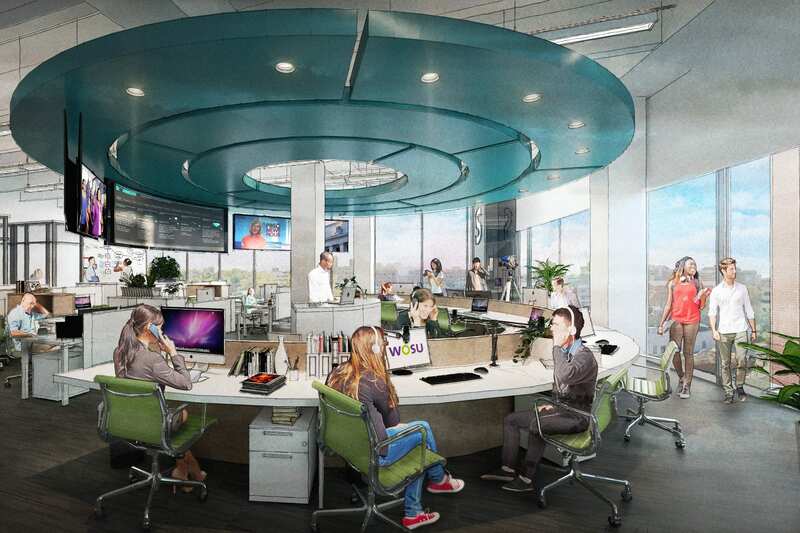 WOSU headquarters will feature a 2,200 square foot community studio, an expanded newsroom, both TV and radio production studios, and a state-of-the-art media learning lab. The facility will be home to more than 200 community events each year. 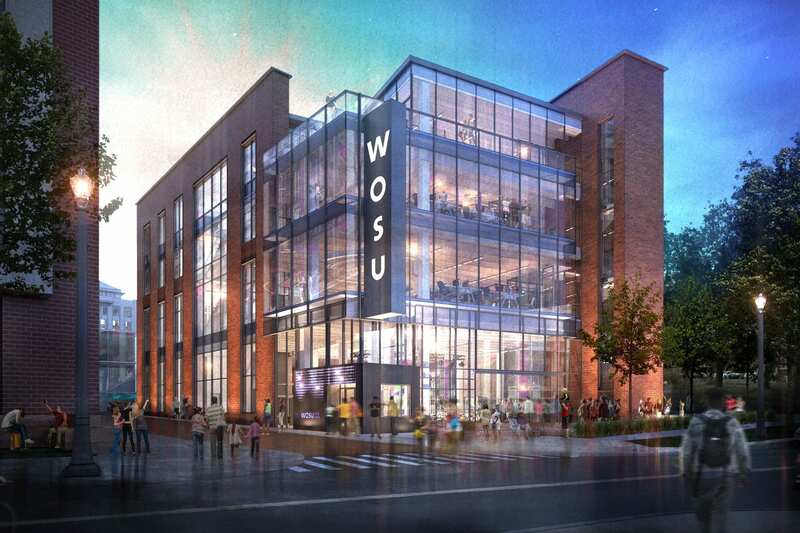 Design, development, and construction for the new WOSU headquarters is being led by Campus Partners, Meyers + Associates Architecture, Russ Berger Design Group, Jezerinac Geers & Associates Inc., EMH&T, MKSK, and Prater Engineering Associates. Over $9 million has already been raised for the project, including a generous, $5 million donation from Sandy and Andy Ross, a local couple who has supported WOSU for 30 years. For more information about the new headquarters, please visit WOSU’s campaign website here.